Wow! 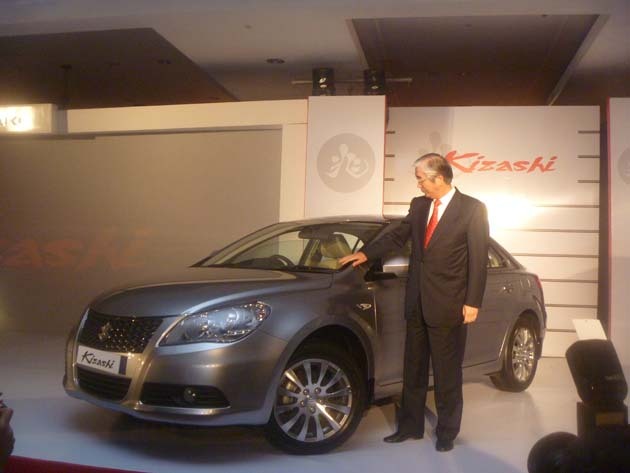 Finally the Maruti Kizashi has been launched in India. 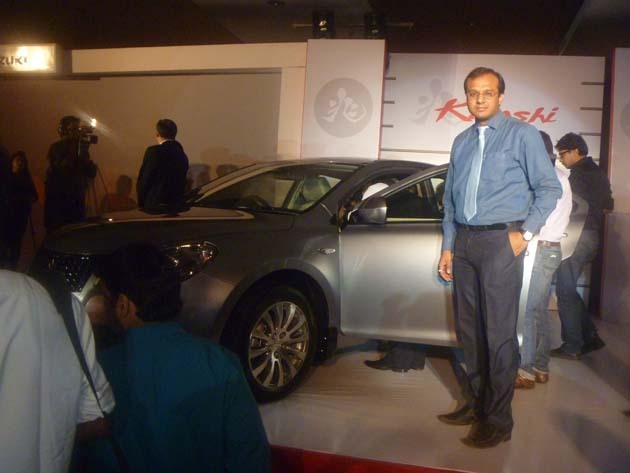 We at Indiandrives were present for the glittering Maruti Suzuki Kizashi launch party last night at the Grand Maratha hotel. This in itself is a great achievement for a company(Indiandrives) which was barely conceptualized 5 months back. This been our first open invitation for the launch, the entire Indiandrives family was present at the do. The event was hosted by Samir Kochar of the T20 cricket series fame. He thrilled the present media with his anecdotes and witty repartee. 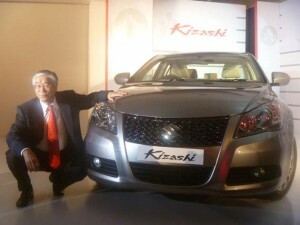 After a series of demonstrations, a video was shown to everyone present highlighting the benefits of the Kizashi as also the various awards that it won worldwide. After what seemed like an eternity, the car was finally unveiled. Suzuki’s head from Japan (I am sorry, I can’t recollect his name) was the guest of honor who unwrapped the covers off the car. The prices announced for the car were Rs.17,12000 for the manual version whereas the CVT variant goes at Rs.18,15900. All these prices are ex-show room, Mumbai. There would only be a single loaded variant in India for both the transmissions. After the initial photo session with the car, he was primed for questions from the media. The first question that an auto portal put forth to him was why was the company bringing in the car via the CBU way and not the CKD. The answer was that the company was checking the viability of the project in India as of now, since this would be a niche market for the company. The next question was when to start expecting deliveries of the car and this was promptly answered as from March 2011. Well, the third and last question was asked by yours truly and it was regarding a diesel option for this car. At this, the gentleman laughed and then said that there are no plans as of now for the same. The launch party ended with a sumptuous dinner. From now on, we are sure that we would bring on such news with our direct presence there. Looks are deceptive. Not enough legroom at the rear and a strict 4 seater even by Indian standards. Now why would I not buy Honda Civic at 5 lakhs lesser? Maruti should have learnt this by now, with failure of there Grand vetera in India. All the above posters are ignorant fools. Kizashi is an AWD high performance car and can beat the crap out of both Honda Accord and Honda Civic any day what with the ~180PS engine.